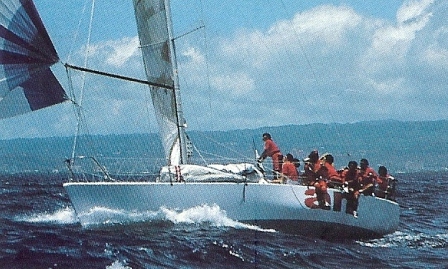 1981 Mai "Voiles et Voiliers". 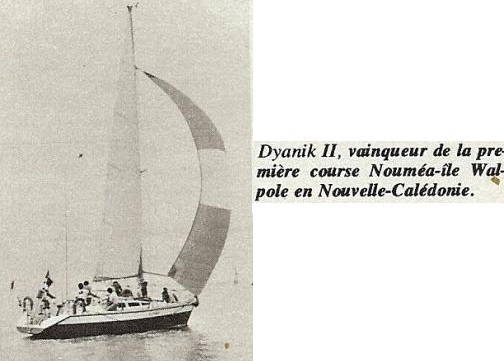 1976 Picture P. Gutelle, from "Bateaux" magazine archives. 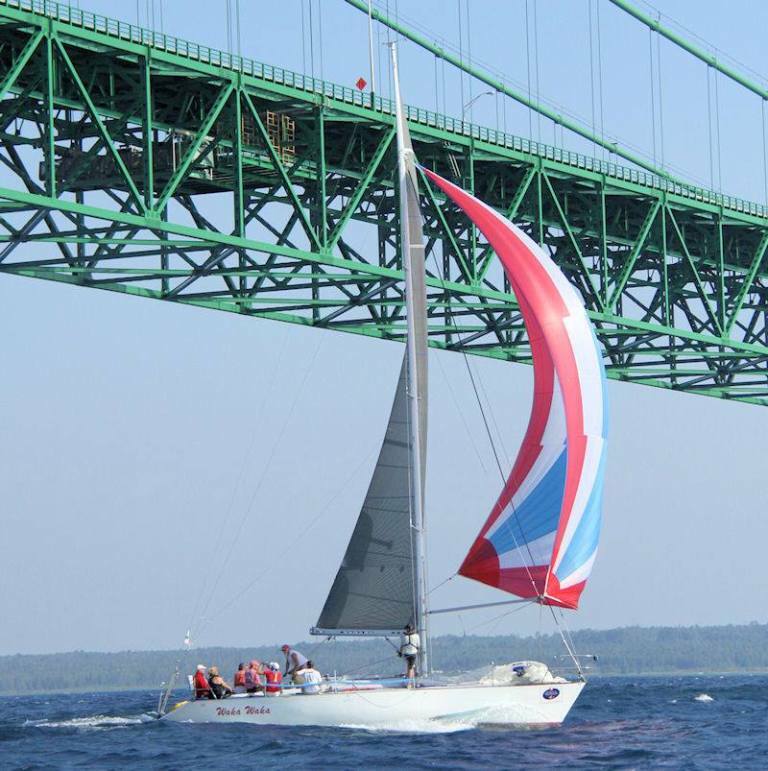 Waka Waka US 87400 Garrett built Farr 40 One Ton Design 143 1984, 2012 Located in Illinois, boat has won races on both the West Coast and the Great Lakes, 2014 From Internet, One Ton Class Facebook, information and picture: "with a long history of winning races on the Great Lakes. 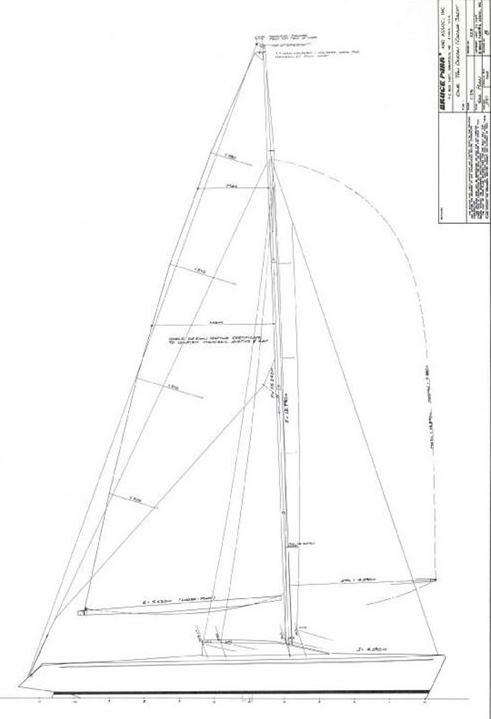 Garrett Marine built a few different versions of this design, I have the fractional rig with tall mast. 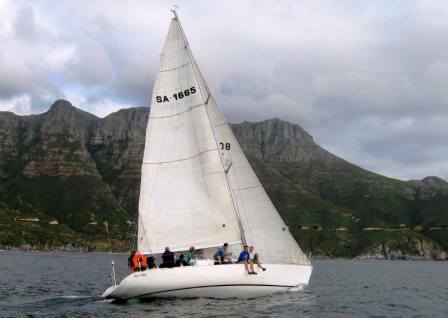 I've not see another, there are a few sisterships around. 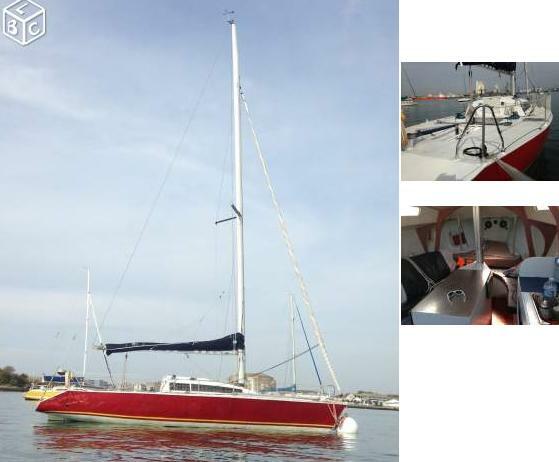 Tequila is listed forsale, setup as a cruiser. 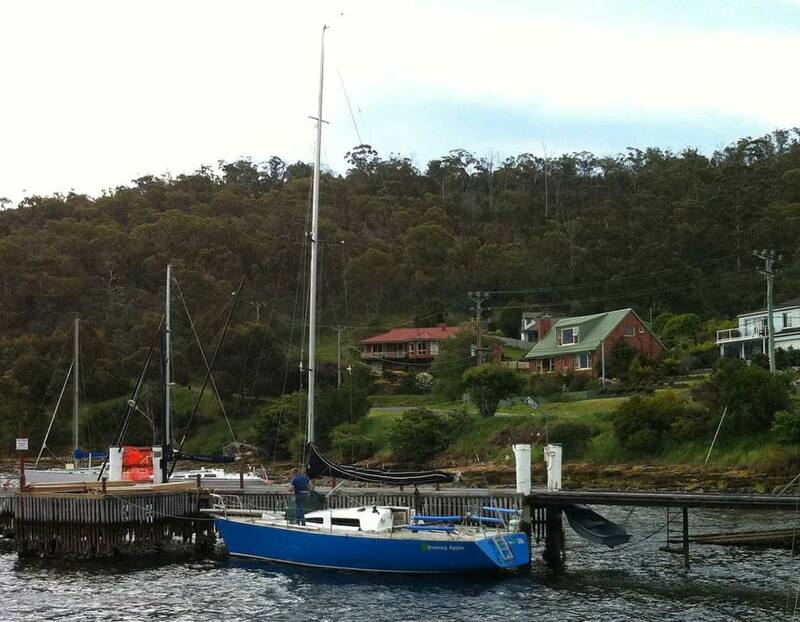 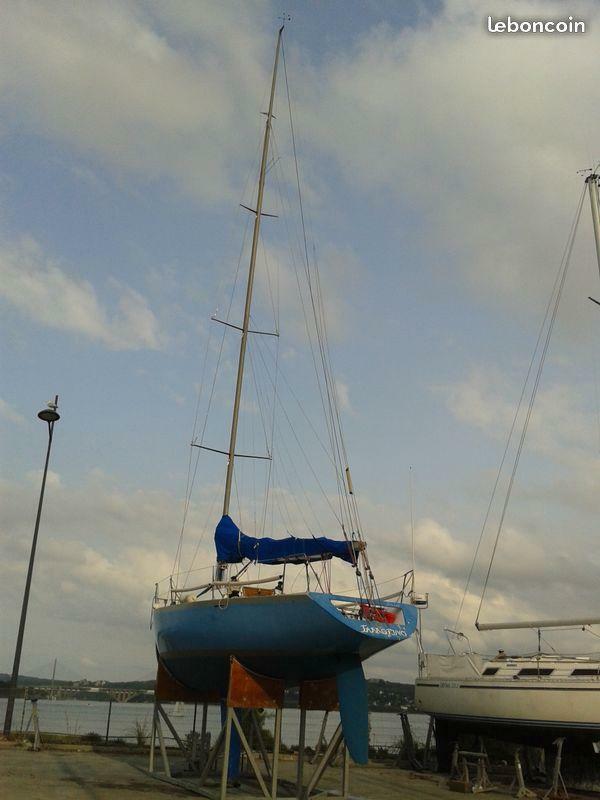 Good fast boats, well made, can be a bit difficult to sail. 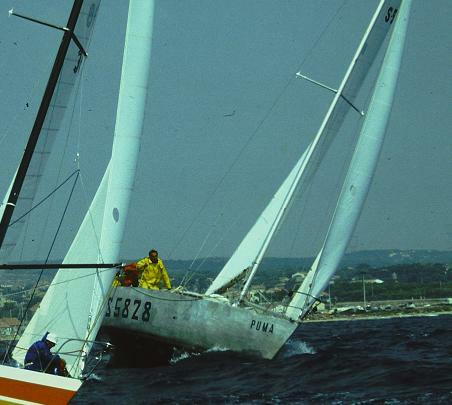 You gotta love running backs and big sails. 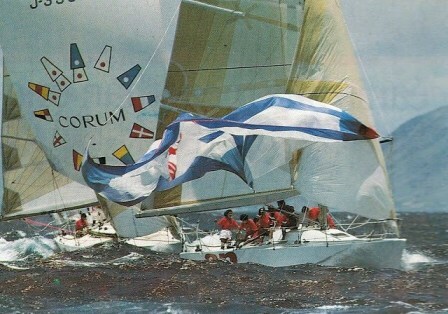 Double handing Waka Waka Sailing is a real good time". 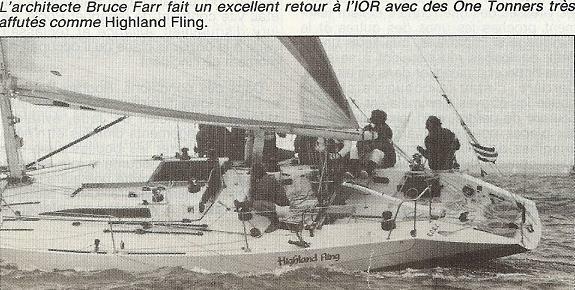 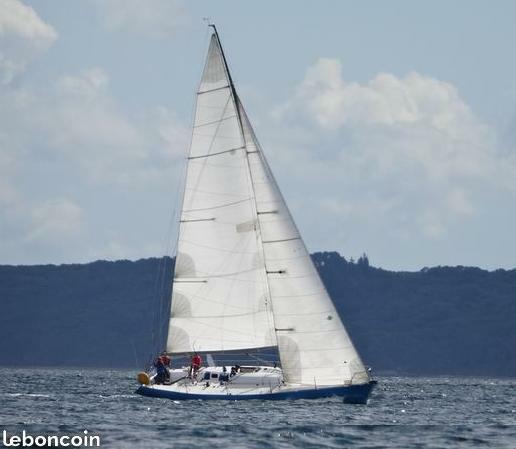 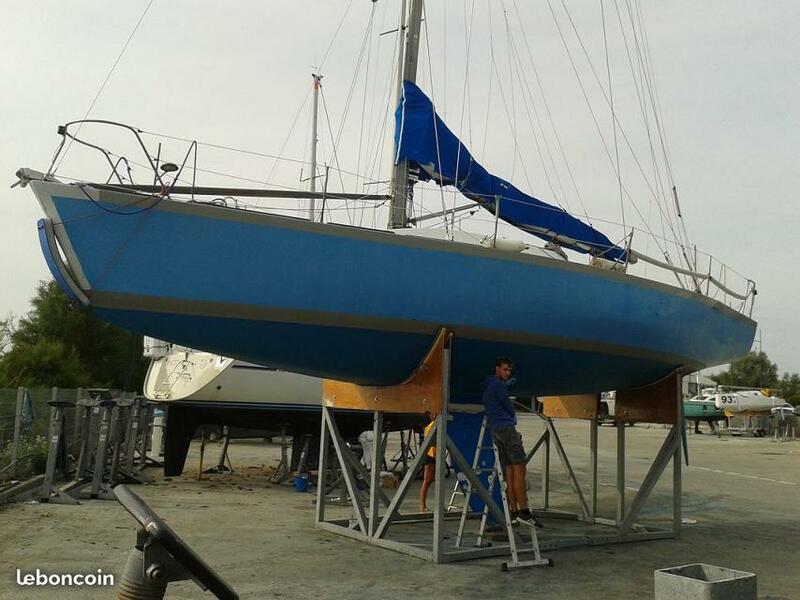 2018 Novembre "Le Bon Coin", A Vendre voilier de course ONE TONNER, rapide et sportif, Plan Farr 1989, 40 pieds, tirant d'eau 2,25 m, longueur 12 m, largeur 3,80m, vendu avec ber et conformateur (2013), gréement dormant 2011, jeu de voiles croisière, tourmentin, suédoise, 1 génois n°1 léger très bon état, 2 génois n°1état moyen, 1 génois n°3 bon état, 1grand-voile dacron 52 m2 de 2011, bon état, 1 spi lourd 100 m2 (NordSails), symétrique, très bon état, sondeur, radeau survie hauturier 6 personnes, annexe Quicksilver 4 personnes, intérieur : couchage 8 personnes : 6 bannettes + couchette double à l'avant, un réchaud sur cardans, une table, moteur 48 CH, visible Brest, 40 000 Euros, photos de l'annonce, est-ce l'ancien Vendée?? 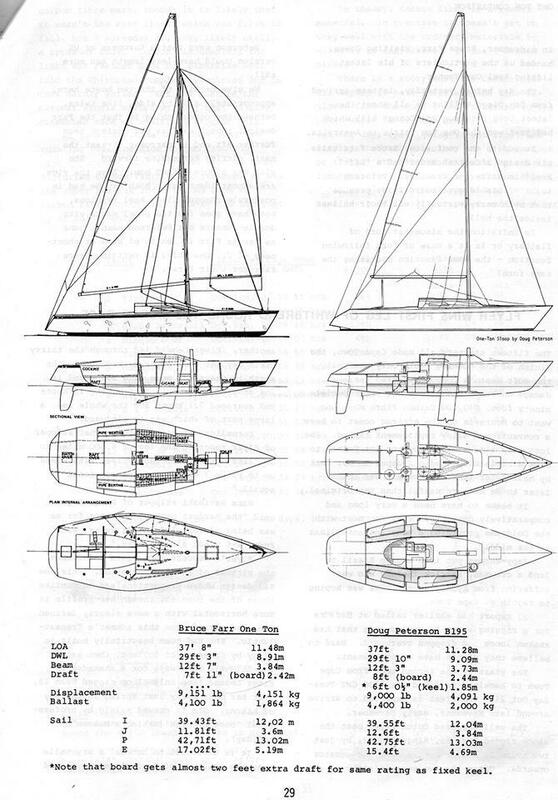 #51 - 1975 1 Ton, Farr 1104, as "Red Cloud"
Interesting comparison of the 1977 Peterson and Farr One Tonners, presented by the late Jack Knights. 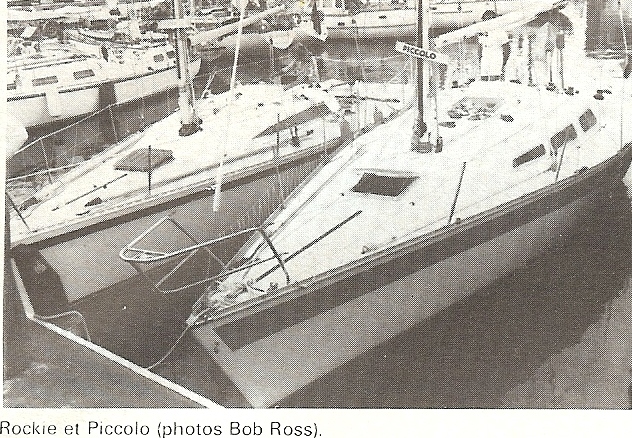 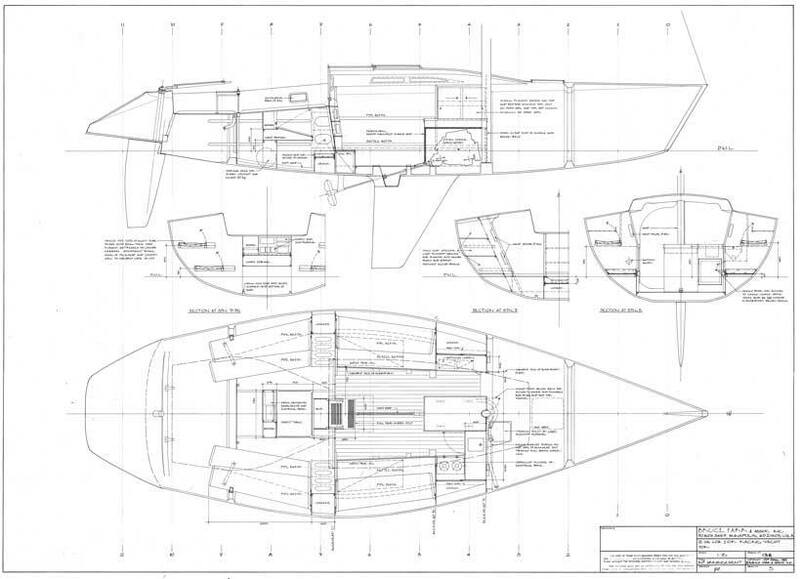 B195, aka PIONEER SOUND, aka MAGIC PUDDING is the Peterson boat, Design #47, 4th 1977 One Ton Cup. 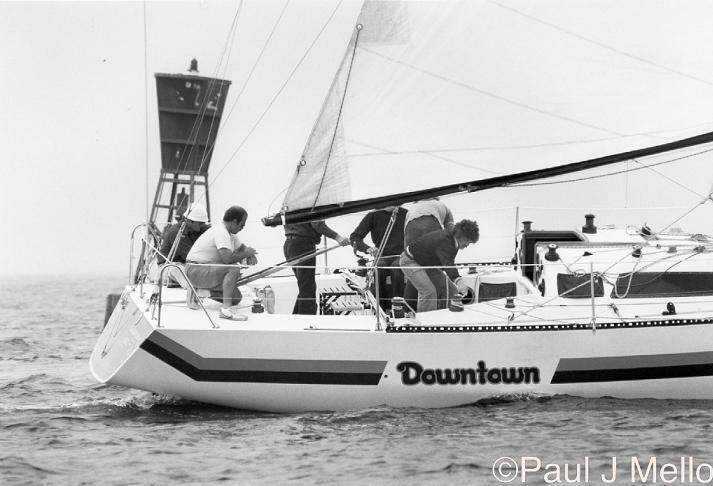 The Farr boat represents THE RED LION, MR.JUMPA, SMIRNOFFAGAN, JENNY H, and HECATE, Farr Design #64 and her variations, 1st, 2nd, 3rd in the 1977 One Ton Cup. 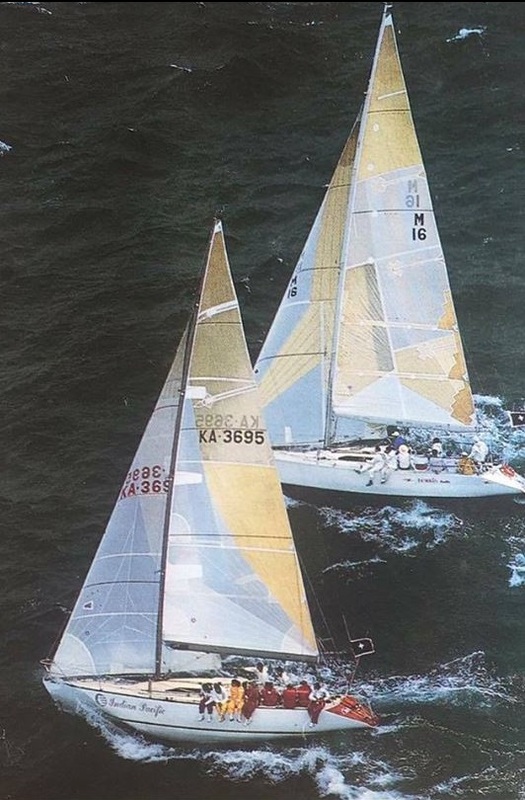 The Farr boats were well worked up for the event, while B195 was still building the boat and re-cutting sails right up to the start of the regatta. 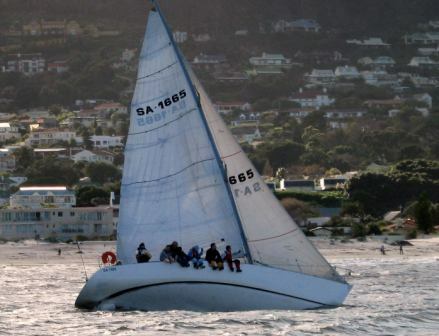 The Farr boats, being longer and stiffer, were faster upwind and reaching in the big breeze of the regatta. 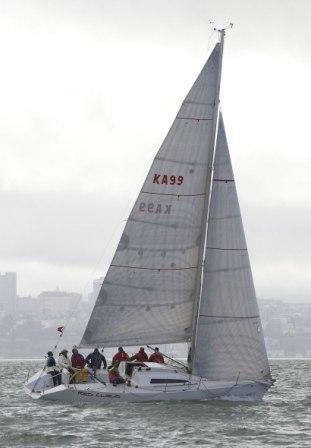 B195 was faster downwind, and would be the better boat in less breeze.